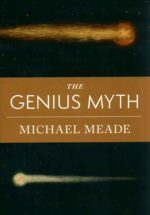 The question becomes not whether or not you are a genius, but in what way does genius appear in you and how might it contribute to your well-being and at the same time benefit the world around you. The US patent system fits this approach in some ways — one reason why we have 10,000,000+ patents is that the standard for patentability is low enough so that many many individuals experience sufficient genius. The problem though is that the hoops, tricks, and costs leave the patent system as an insider game not accessible to the vast majority are locked-out. The question in my mind is how our system for promoting innovation can help to encourage a broader awakening of genius? Posting here purely to make the commenting easier (too far nested and too far below). Thanks for coming back 6, I thought that I had lost you with the attempt to teach you the nuances here. As it is, you seem to be resisting learning anything, and your most current reply is starting to make circles instead of making progress. No. It is not. As I pointed out to you, the effects of Roe REMAIN present – even if the range of which effects happen when move a bit (or move more than a bit). The point being is that Roe remains Roe – and that you will need something else to actually obviate Roe. ALL of the effects within Roe remain in play. You SHOULD care – that is the true underlying driver. If it wasn’t then you would NEVER of heard of the Roe case in the first place. Sure, there is a “Liberal Left” view of the matter, but that does not change the fact that there is a matter there in the first instance to which the “Liberal Left” can place their view upon. Come man – you are being dense now. Right now the nuance is that those things you want to kick on down the road are very much present. As I pointed out – our mutual AGREEEMENT on viability (and apparently, agreeing with you cause you some small amount of confusion) points out that viability is NOT the driver that you think it to be. This is the very crux of the nuance that I am trying to get you to open your eyes to. You are just not grasping the import of the legal view of full consideration as human, nor how that MUST impact ANY view on vitality – and the potential of the vice versa effect. Again, that very much depends on the underlying (nuance) driver that I am trying to get you to grasp. Once you grasp that concept and its import, then your statement shows itself as a bald and empty conclusion. Perhaps the “not for another hundred years” may come to be – but such would ONLY come to be if the point that I am trying to have you grasp is not changed. THAT point is the driver. Additionally, IF viability at day 1 DOES become a common reality, THEN it most definitely NOT take another hundred years for the nuance to make itself prominent. Certainly – and especially if one tries to not grasp the nuance or drivers of what is really going on. Trust me, the “Liberal Left” will do most anything to NOT have people recognize the nuance. And the reason why should be painfully evident. That painfully evident is why 90+% of actual abortions are nothing more than post conception birth control and have nothing to do with any of the “wrinkles” of mother health, r@ pe, or in c est. Recognizing the nuance, ESPECIALLY if viability is taken off the table EXPOSES the very “gibberish about ‘herp body control’ and bs” that you LABEL as bs. That you want to label it so is getting in your way of understanding that THAT very much is what the animus about the case really is. You seek (oddly) to NOT engage on the penumbra that drove the case in the first place (leastwise why the Court decided as it did). I think that you have a rather shallow understanding of the case itself and the politics involved as that case was actually decided – and as that case TODAY stirs the political animus as is part (perhaps not the main part, but certainly a part) of the Kavanaugh politics and 11th hour leak. Actually, Dennis what you could do is advocate for 101 reform. Complete removal of all the current jurisprudence and a 101 that J. Rich envisioned. The other thing is a return to 103 sanity with TSM. Probably the only way to get sanity with patents is remove IPRs or make the judges ALJs with life appointments. Currently, what I have to tell start-ups is that the patent system may help you out but the only way to go is lots of patents and don’t count on any of them being granted or enforceable. They are like junk bonds. I think an individual inventor with a good idea now has pretty much no chance of getting an enforceable patent. The more money your invention is worth the more IPRs are going to be thrown at it. The reality is that there was never a significant problem with “trolls”. This was all made-up by academics being paid (mostly secretly) by large corporations to push this propaganda. So —-probably the number one thing you could do is to try to restore the integrity of academia. Academia is really a lot like the courts. The American public is starting to see both as corrupt and worthless. No respect. Why would any respect an academic? We don’t know what money you are taking and from whom. There is no consequences to anything you do in a paper. I think most people in the USA are ready for massive reform in academia and the courts. And yes I work with start-ups from SV and other places. Basically, the patent system is just totally broken. We live in a world of where rational thought is no longer required or ethics. The question becomes… in what way does genius appear in you and how might it contribute to your well-being and at the same time benefit the world around you. The US patent system fits this approach in some ways… The question in my mind is how our system for promoting innovation can help to encourage a broader awakening of genius? Compare this with the proposed alternative to the patent system—state sponsored competitions along the lines of the competition that the British navy held to create longitude and latitude. I have nothing against such competitions, and would welcome the creation of a competition to (e.g.) invent an AIDS cure. Still and all, the problem with competitions as an alternative to patents is that incentive to innovation is limited to whatever sorts of innovation that Congress finds worthwhile. Who knows what ground-breaking technology would be missed, because Congress would never know to create a prize for it? Your statement goes hand in hand with my prior stated analogy of the low-barrier-to-entry patent system for promoting innovation as being a paving of a parking lot as compared to a paving of a grid of streets. Innovation (and the best promotion thereof) simply works differently. Yes the patent system has become so expensive and only areas that aren’t dominated by monopolies may receive an enforceable patent. I found this presentation instructive link to m.youtube.com, especially the part on “The Economics of Invention Incentives: Patents, Prizes, and Research Contracts,” Wright 1983. Congress critters will just get on back to their corporatist day to day, MM will qq and I will lol. IMHO, one thing that is interesting about this is that people are realizing how political he really is and this puts the other justices in a spot. They know that they are the same and that people are going to figure that out. They’re only “political” because they usurped the legislative power from the legislature (and state legislatures) in a matter of everyday importance to people, and the demographics of the nation etc. The new documentary on netflix about overturning Roe is pretty decent. That being said I doubt Roe will get overturned, it will instead be obviated through technology by the time I die. It has apparently already been held elsewhere that “viability extension” (backwards in time so to speak) due to tech pushes the option c backwards in the pregnancy. This is partly why the roe protections have shrunk since the decision as is already because babies are viable earlier now than they used to be thanks to little boxes we can put them in once their born if they’re premature. This then allowed local states to start regulating abortion after such time period in a pregnancy and they did start regulating backwards in the time of pregnancy. Once babies are viable from day 1 of impregnation thanks to womb-bags like in the article above Roe will no longer matter, because of “interest in the potentiality of human life” under option c will subsume the rest of the options because viability will be immediate. Which coincidentally was similar what had been argued at roe should have been the case back in the 70’s but the court noted the fetus wasn’t really viable at certain points in pregnancy towards the beginning of pregnancy (at the level of technological development back then). “Obviate” is not the right word for what you describe. I note as well that in what you describe, there is a lack of “the woman has a right to decide “her body” type of philosophy. The presence of the new tech obviated the need for the rule/ruling in Roe. Roe is/will be obviated. Doesn’t matter. As the court noted, once viability is achieved in the state’s interest in having you know, people alive, kicks in overwhelmingly. If I take your own argument as given (“Roe never held that whamen “have an absolute right to an abortion” at any time in a pregnancy.”), “obviate” is not a correct word (your argument is not “eliminated a need for,” but is confirmed. Sure, the “windows” of what is confirmed are moved a bit, but what you stated as Roe is not dissipated. As to the “her body” type of philosophy, I was looking for that “penumbra” of “right to privacy” that ‘permits’ ANY abortion whatsoever (outside of any State interest). Wherefor does that go? I’m confused as to what your comment even means. Two of the windows (a and b) disappear for all practical purposes. For good. And that precedent and finding as to the state’s interest trumping the right to privacy after viability is not going to be changed. Viability moves to day 1 and the whole right to privacy (and thus the right to have an abortion if your doctor will do it) disappears into the state’s interest. Moving it back to day 1 is more than moving it a bit. That right to privacy stays in place but the state gubmits are permitted to override your right to privacy once viability happens. And they get to make it criminal to abort after viability. Move viability to day 1 and the whole dispute is moot as the state gets to override your right to privacy at all times after day 1 of pregnancy. And to be clear, maybe the tech never moves viability all the way back to day 1 (just for instance), but it will near surely get back to just a couple of weeks of pregnancy when the cells have barely developed past zygote stage. And that will suffice to pacify all by the most rabid anti-abortion people. At that point it practically is doing the same thing as “plan-b” contraceptive does now, which few people take issue with. That’s because my comment is not disagreeing with you (per se) on the viability point. I am trying to nudge you into understanding a more nuanced view of the situation. We both acknowledge how viability moves the decision points within Roe. We both even acknowledge the possibility of tech advancing viability from fetus to embryo to blastocyst to even zygote (the “back to day 1” scenario). But your statement of “obviate” does not fit because Roe already has that – and is not “dissipated” by any such tech advance. The movement of decision points within Roe (even if more than just a bit) does nothing to change Roe. Further, the focus on viability masks the actual driver and animus of “body control” – which is why I state that the real issue here is not viability, but rather is distinction. Viability (especially viability down to day 1) drives the question TO that real issue, because the entire gist of “MY” body disappears IF a distinct separate “body” enters the equation. This is the driver TO that “State interest” in the first place and rests on the logical/biological (non) tech of only mid to late term fetus. Currently, even that mid to late term does NOT garner full human rights – the not-yet-born are NOT legally human (no matter any actual logical or biological points). In other words, if (when?) tech DOES advance down to Day 1, then no matter what the not-yet-born is called, the more nuanced driver will be how that distinction is treated under the law. As I stated as well, the law (currently) does not ascribe full human rights to a fetus – even with a viable fetus. Viability does NOT inure full consideration as human. Viability merely heightens a State’s interest (not the Fetus’s interests). THAT is a subtle, albeit critical point. I focus then on that “penumbra” of state-recognized Human’s rights and suggest that the calculus does not change Roe based on any advance in tech, but would be drastically changed if distinction of more than one body (more than one set of human’s rights) were to be recognized. Viability MAY (or may not), be concomitant with THAT change, but that would be actually a side issue and not the main issue. By the way, the “Plan B” drug is an interesting point if we take as given that viability is reduced down to Day 1. It is interesting because that drug may work in a number of different ways, from preventing the egg from being fertilized to preventing a blastocyst from embedding. Some of these ways may be “allowable” while others may not be “allowable,” and since – as you put it, the state’s interests control, even Plan B may be made criminal. Of course, in the more nuanced case, wherein distinctiveness is recognized, the matter may become more than merely a “State’s interest in a potential human. The “penumbra” angle changes IF that penumbra must take into account each distinct entity and that distinct entity’s set of human rights. Right of privacy of one entity THEN becomes balanced against right of life of another entity. I am not entirely certain that even advancing viability will move recognition of human rights (the full set, as opposed to a more limited set to yet a different entity of the State) to the not-yet-born. *eyeroll* it obviates the effects of the decision, because the decision will then have no effects. That’s removing the effects, aka obviating. Nobody cares about leftist gibberish about “herp body control” and bs. Least of all the gubmit. The gubmit wants babies. Period. The only exception is some women whose bodies get out of control for one reason or other. There are simple solutions to that in 98% of cases. Yeah but for now that’s all that matters. Down the road sure thing other “muh doctrines” and “muh distinctions” and “muh argumentations” can be raised. But we’ll just see. Correct. But that’s all that is required to get rid of Roe’s prohibition on state lawmaking/regulating. For now that is the big fight. Yeah but it won’t be, at least not for another hundred years. Not in Merica anyway. Roe is more nuanced than you (and to be fair, more nuanced than most all people) are taking the ruling. The underlying issues in the case will not be obviated, no matter the state of technology and how much the timing of viability may change. One of those underlying nuance issues is how a fetus is characterized. On the “logical and biological fronts,” the distinctiveness of “fetal life” does not change at any point of viability. Hidden in the case is the mirror of end-game that we all face. At the end of natural life, most all will reach a state of ‘non-viability’ without help. Does a person’s rights disappear when such a state is reached? Of course, there is a difference (a legal difference) between the beginning and the end: (somewhat arbitrarily), our nation (at Law) has decided that law “really does not protect” the fetus – for the rights OF the fetus. Instead, as in the Texas case that spawned Roe, what is being put into the balance is not fetal life (and its direct rights), but instead is merely the State’s interest. Placing the emphasis of the case on “viability” evades the nuance that remains. If one wants to put the onus on “viability,” then the mere capability of an artificial womb (from inception to “birth”) would make most ALL** abortion subject to be subservient to the stated State interests. If I recall correctly, it is some 90% of abortions (or more) that are elective and certainly do not meet any of the “other” wrinkles that would be “at risk” were the nuanced issues be explored. It is not that you “are wrong” on the issue as it is as much that your aim is to a mere corollary issue (and does not address the main issue). Do you really think that driving force of “right of privacy” can be “obviated” away? If so, you have not grasped the nuance in the matter. I absolutely think that the state gubmits will be permitted to protect viable human life any way they see fit (including overriding right to privacy etc. ), just as they are now, and just as the decision notes is precisely when they will be able to in the future. I think that people on the left will be upset, but they’ll still have it in more liberal states so meh. I folded the conversation line here into the one above. In the final analysis, everything under the sun made by man requires the physical or mental labor of individuals. To the extent each is given the right to the fruits of his or her own effort, will the extent to which they expend themselves in its production and trade , and the extent to which they are living in a moral society. Thanks Dennis; going to buy the book. Nobody know everything, but everyone knows something worth knowing. One of the greatest blocks to recent, current, and future innovation is the widespread misuse and misapplication of our very own 35 U.S.C. 101. Separate, but related: repeal Citizens United. The juristic person cannot be allowed to overshadow the real person.